If you are living with Parkinson’s disease, you know that that taking care of your health is of paramount importance to preserving your quality of life. Parkinson’s patients generally suffer from stiffness, loss of balance, reduction in flexibility and the slowing of movement, behaviors that get worse over time. But there are a number of steps you can take to slow the progression of these symptoms. Pilates can help immensely to that end. 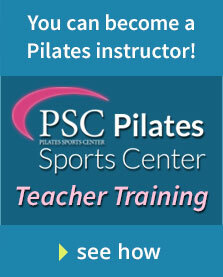 Pilates is an exercise program that is highly recommended for Parkinson’s patients. The gentle activity can improve flexibility, reduce stiffness, and build muscle. But for those who are already feeling weak and fatigued, finding the motivation to exercise can prove difficult. That’s why the professionals at Propel Pilates & Fitness offer pilates workouts designed for Parkinson’s patients. In addition to the symptoms related to Parkinson’s progression mentioned above, those living with the disease may suffer side effects from any Parkinson’s medicine they are taking. Fortunately, the caring staff members at Propel are sensitive to the specific needs of their clients. We have taken all of these factors into consideration when creating custom pilates workout plans for Parkinson’s. Our ultimate goal is to help these clients manage symptoms, while improving flexibility and balance, and slowing tremors. The type of movement specific to Pilates fosters these goals. The repetition of exercises improves the impulses by the brain to the muscles, a function that may diminish with the loss of dopamine experienced by Parkinson’s patients. Furthermore, some research with Pilates shows an enhanced quality of life and well-being in people with Parkinson’s as the result of strength building. If you are looking for a place that offers Pilates exercises for Parkinson’s or any number of medical conditions that can negatively affect balance and strength, come visit our San Diego Pilates studio. Conveniently located in lovely Rancho Bernardo, our modern facility boasts a friendly staff who will ensure that you have a pleasant and nurturing experience. Call or email us today to schedule a private class. Take the first step toward a healthier you.